Cross the bridge heading north from Queen Anne and Magnolia and you enter Ballard. 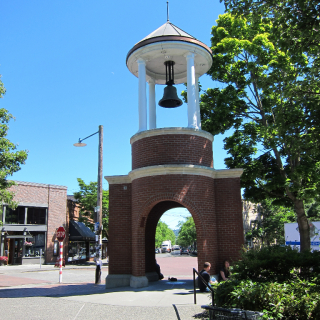 Ballard is actually a very large area of Seattle that includes Sunset Hills, Blue Ridge, and the Loyal Heights neighborhoods. Many of homes that were built in these areas were developed in the 20s, 30s, and 40s. They were modestly priced and built well. In other parts of Ballard you’ll find larger homes with splendid western views of Puget Sound and the Olympic Mountains. Once a tidy, blue-collar neighborhood of Scandinavian fishermen and mill workers, Ballard today is evolving into a multi-ethnic neighborhood with an influx of young, educated professionals taking advantage of its reasonable housing prices – some of the best home values in the city. This once quiet community is quickly becoming a hot spot with second-hand stores, trendy cafes, galleries and a monthly art walk. Ballard is the home of Fisherman’s Terminal, and a very large commercial fishing boat wharf. It’s a neighborhood that is proud of its Scandinavian roots, as seen by the Nordic Heritage Museum and several specialty food stores and restaurants. Nearby are the Ballard Locks (officially the Hiram M. Chittenden Locks), and the Carl S. English Jr. Botanical Gardens. A variety of housing styles can be found here, including new construction, and Mench-built houses (named after their 1940’s architect). The commute to downtown is 15-30 minutes, depending on whether the drawbridge is up or down. As of March 6th, 2013, the least expensive property for sale in Ballard is a studio condominium priced at $142,200 while the most expensive active property is a 5 bedroom, 2.5 bath single family home offered for $1,090,000. Looking at the last 90 days, the Median List Price in Ballard is $519,900 with homes selling for a Median Sale to List Price of 102.2%. Whether you’re looking to buy or sell a home, trying to find a great neighborhood restaurant or need information on shops and places to play, contact “SeattleResults.com” — we’re here to help!